Finding the best Bar review course that will prepare you to pass the Bar exam is your first step to becoming a lawyer. A Bar prep course will either help you study for the exam faster and more efficiently or will become a distraction and cause you to lose focus. That’s why finding the right study guide is so important. But there are so many Bar study guides out there, how are you supposed to figure out which one is right for you? Well, the easy answer is that you need to focus on yourself and how you learn. What do your study habits look like? What does your schedule look like and what does your budget look like? All of these this things are extremely important when picking out a Bar exam review course. Think about how you learn best. Do you like to listen to lectures, practice exam questions, or work with flash cards? Each set of bar study materials includes different features that will help you in different ways. Figure out what features work best for you in your study sessions and find a course that focuses on those. After all, you are going to spend hundreds of hours studying for the BAR exam. Getting the wrong course might make that longer and no one wants to study more than they need to. You need a bar study guide that matches your learning style and will help speed up your study process rather than slowing it down. That’s why I’ve reviewed all of the top-rated Bar prep courses. I compared each one side-by-side, so you can check the features, course details, discounts, and formats to see which one is right for you. Take a look at the comparison below and start studying for the Bar exam today. 5 What is the Best Bar Review Course? 5.1 Top 5 Best Bar Exam Prep Courses of 2019 – Comparison Guide! Here’s a list of the top Bar exam review courses on the market today. Here are the best Bar prep courses and review study materials to help you pass the exam on your first try and become a lawyer. 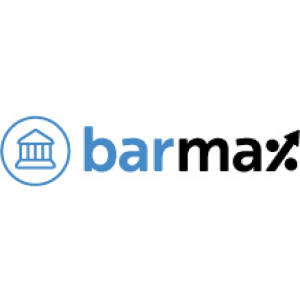 BarMax is an innovated prep course designed by Harvard Law School alumni to help you study for the exam in the most efficient and effective way possible. It’s streamlined approach gets rid of the nonsense and gimmicks that other course provides have and replaces it with real MBE practice questions and awesome support. This comprehensive bar review course has everything you need to pass the exam on your first try. It includes more than 1,750 MBE questions with clear and concise solutions to help you understand the answers and more importantly help you understand the questions. BarMax Review also includes lectures, flash cards, and an advanced analytics system that helps you keep track of areas that you need to improve. This is a modern course built for the digital and mobile world. That means you can take this course with you anywhere. It works great on your home computer or any mobile device. The best thing is they have flexible monthly pricing plans and a full refund money-back guarantee, so anyone can afford it. Plus, BarMax gives you lifetime access. There are no extra fees if you need a little extra study time. You can beat that! Kaplan Bar Review has been one of the most popular Bar exam review courses in the last 20 years because they make a great product. The course is designed to be flexible and adapter to your study needs. This means as you go through the study materials, the advanced analytics built into the Kaplan software track your understanding of topics. Based on your knowledge it will actively change the course syllabus to direct your focus on topics and concepts that you need to work on. This not only helps you improve your weak areas, it also speeds up your study time because you aren’t studying things you already know. The prep course includes more than 4,000 real MBE practice questions and an unlimited amount of essay grading. This is perfect for practicing your exam test-taking skills and understanding how to write the essays that the test-makers are looking for. Kaplan also has a great mobile app that allows you to study anywhere. They often boast that they have the highest rated Bar app in the app store. Although ratings can fluctuate, this app’s quality content doesn’t. You can watch live lectures, interact in virtual classroom environments, and ask professors questions all from your mobile device! Kaplan also offers a pass guarantee. If you don’t pass the exam with their course, they will give you a complete refund. Totally risk free! The AdaptiBar study guide is an online MBE simulator and prep course that delivers smart technology to the Bar exam study process. This course combines the idea of adaptive technology with test-taking analytics to give you keen insights into ways you can improve your Bar exam knowledge and test-taking abilities. Remember, understanding the information covered on the bar exam is only half of the challenge. The other half is being able understand what test-makers are looking for in your answers and essays in order to answer the questions the right way. AdaptiBar does this by analyzing your answers to gauge your understanding of topics and show you the areas that you need to review more. They also analyze your test taking abilities themselves in order to give you strategies on how to improve them. For example, the software measures how long you are taking to answer questions and gives you timing suggestions to improve your ability to finish the exam. This course is also designed to give you real time feedback on it 1,500+ NCBE licensed practice exam questions. Each question includes a detailed explanation of the solution, so you can understand your thought process and the correct answer. AdaptiBar review also includes video lectures from Professor Jonathan Grossman, over 1,000 practice flash cards, and a custom study planner to keep you on track. 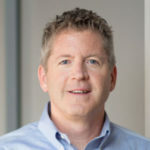 One thing to keep in mind is that AdaptiBar only focuses on the MBE section, so if you are looking for a complete comprehensive review course, you might want something else. Otherwise, this is an awesome supplement to another course you already have! The Themis Bar review course is an affordable study prep guide for 1LS, 2LS, 3LS, and up offered in most states. Their directed study mode lets you set up a custom study schedule based on your availability. The course then structures a study plan and gives you 8-10 weeks of daily tasks to complete in order to be prepared by your exam day. Each lesson has a short 10-15 minute lecture that is designed to help up understand the topics without getting bored or distracted. These shorter lessons are great for people with busy schedules who can’t sit down for hours on end listening to lectures. All of the lectures and over 2,500 MBE practice questions are available on demand with their online study platform. You can study from anywhere on any device. They also offer unlimited essay grading and personal customer support 24/7. This is great if you have a question and don’t want to wait 3 days to hear back from someone. The biggest downfall to this study course isn’t available in all states. Currently, they only offer materials for 40 states, so if you are in one of the unlucky 10 states they don’t offer it in, you are out of luck. Otherwise, this is a great course that offers a pass guarantee. BarBri has an industry leading Bar exam prep course for almost 5 decades. They offer a ton of different flexible options for students. You can sign up for a live classroom lectures, virtual classroom learning, or a simple self-study course. They offer it all. Their study materials include more than 2,500 MBE practice questions, video lectures, and their custom LawMaster study key approach to studying. Each study key is categorized into different topics and includes frequently tested subjects. This organization helps students focus on relevant topics and make connections without bouncing from subject to subject. No matter what option you go with, the BarBri study guide is accessible anywhere on your computer or mobile device. All in all, this is a great course and it’s helped thousands of candidates pass the Bar exam. It’s just way overpriced. Compared with the other courses that are available, I don’t think this one is worth it unless your firm or employer is willing to pay for it for you. When you’re trying to prepare for the BAR exam, it doesn’t hurt to study just a bit more. In order to make this process easier for you and other students like you, we’ve gathered discounts for the BAR prep materials with top ratings, like those from Kaplan and other popular companies. We also have some fantastic promo codes organized in the list below. See for yourself! Save up to $150 on the Kaplan Complete Bar Review Course Today! What is the Best Bar Review Course? Top 5 Best Bar Exam Prep Courses of 2019 – Comparison Guide!